In a city celebrated for its poets and songwriters, On the Banks taks us on a lyrical tour of life, love, work and childhood in Cork. 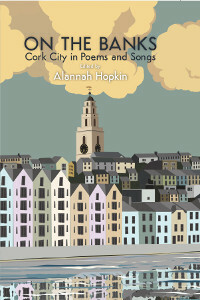 This collecting shares poems and songs about Cork City by writers from Edmund Spenser to Gerry Murphy, and from ‘The Bold Thady Quill’ to Rory Gallagher’s ‘My Hometown’. Famous characters and landmarks of the Beautiful City are evoked, as is, of course, the River Lee. Varied voices create a beguiling mosaic of a city that has been much loved by natives, transient residents and visitors alike, from ancient to modern times.